When the Great War had ended no arrangements were made nationally to remember the Fallen. It was left to each town and community to honour its dead. 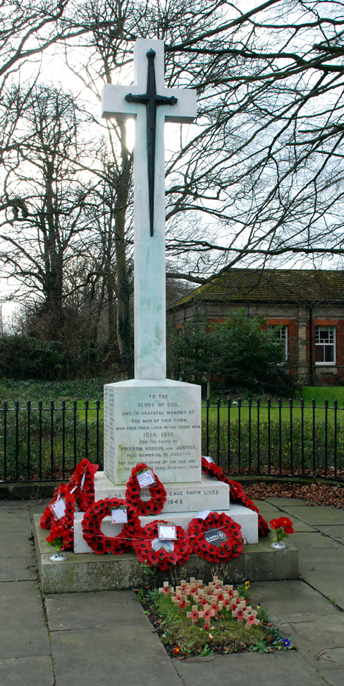 In Market Rasen several memorials were set up. 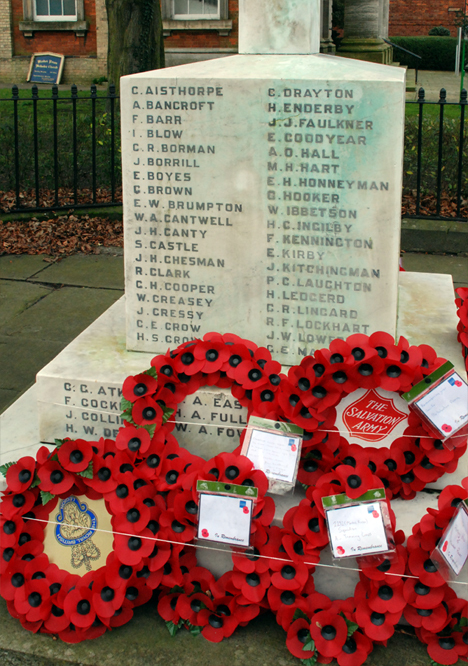 As well as the Town War Memorial in Chapel Street, there are memorials to the Fallen at the Parish Church of St Thomas (Market Place), Holy Rood Roman Catholic Church (King Street), the Methodist Chapel (Chapel Street) and De Aston School (Willingham Road). 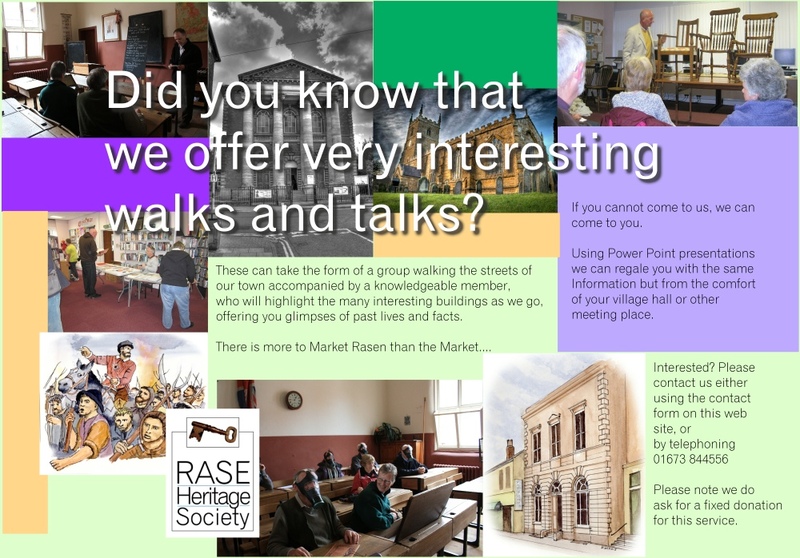 The first discussion about a town memorial to the fallen men of Market Rasen was in 1918 but it was only after a great deal more discussion about the nature and location of the memorial that the Town War Memorial was dedicated in 1922. By then memorials had been dedicated at both the Parish Church in August 1920 and the Catholic Church in May 1921. The Town War Memorial was finally dedicated in June 1922, being unveiled by two ex-service men, G.W Garnett and H.M Kitchen. A further memorial was planned for the Parish Church but, because of funding issues, this was not completed until May 1934. It consisted of a rood beam with crucifix and figures of the Virgin Mary and St John. Unfortunately, in 1963 it had to be removed for safety reasons. The memorial to the 14 men who were in the Methodist Chapel congregation is in the front porch of the Chapel.